Ursula K. Le Guin, whose career and influence are examined in brief in the preceding note by David Bratman, has long been a writer of interest to the readers of Mythlore and members of the Mythopoeic Society. 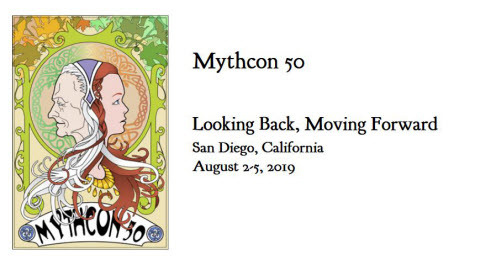 She was the Author Guest of Honor at Mythcon 19 (the theme of which was “Legends for a New Land: Fantasy in America”) at Berkeley CA in 1988, and was a finalist for the Myth and Fantasy Studies Award in 2011 and 2012 for her essay collection Cheek by Jowl (Aqueduct Press, 2009). Croft, Janet Brennan (2018) "Ursula K. Le Guin in Mythlore," Mythlore: A Journal of J.R.R. Tolkien, C.S. Lewis, Charles Williams, and Mythopoeic Literature: Vol. 36 : No. 2 , Article 9.